Russellville High School received the “Best of Show, First Place, and School Award” while participating in the inaugural exhibition of River Arts celebrating visual arts in the schools of western Kentucky. The event is jointly sponsored by the Butler County School District, the Western Kentucky University Education Program, the city of Morgantown, and the Butler County Arts Guild. Participating in the event were 21 other K-12 schools scattered throughout the region. Russellville art Department won the program award for have the most entries accepted into the show. RHS had 14 works of art chosen and hung in the exhibition. The place awards and the program award consist of art supplies. The Best of Show Award is a monetary scholarship. 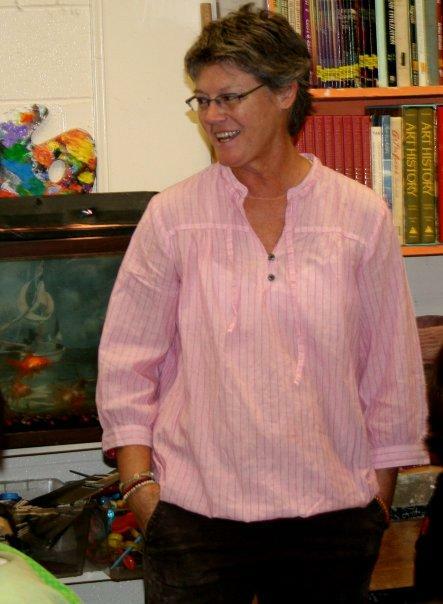 Brenda Brown is art teacher at Russellville High School.